Dragon Lords 2 is the long awaited sequel to the original Dragon Lords. Currently the game is available for iOS, Android and Amazon, Windows Phone version will follow shortly, as well as Windows PC, MacOS and Linux. Download the application and join us on the battlefield today! Read more about the game from our announcement blog post: Five Years Of Dragon Lords . We also invite you to join the community and discuss features on our forum. Like its predecessor, Dragon Lords 2 is a Massively Multiplayer Online experience, linking the elements of strategy and role-playing games. 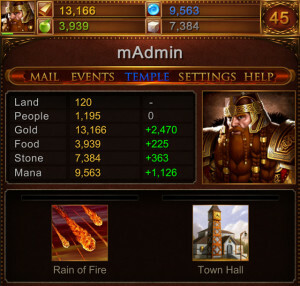 Take control of the economic development of your kingdoms, politics and military power. 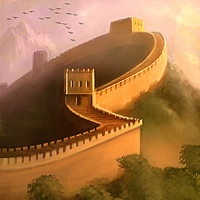 Hire powerful champions to lead armies, search for treasure or cast magical spells. Forge alliances and wage large scale wars for land, wealth and glory. The game is set in a fantasy world, where mythical creatures roam the land, and six powerful races vie for supremacy in a never-ending conflict. The core gameplay revolves around classical turn based strategy concepts: researching new technologies, building structures, training your population in various professions, and seeing the results of your actions after committing to taking a turn. What makes Dragon Lords 2 stand out of the crowd of turn-based games, is the multiplayer component. Alliance-based actions, like waging wars, building epic structures, and other challenges, require coordination with your teammates, and add an entirely new layer to the strategy. Dragon Lords 2 is a refinement of the original game’s formula, with many mechanics streamlined and gameplay concepts expanded upon. It’s built in a completely new game engine, that allows for more impressive visuals, a greatly improved user interface, while at the same time providing a much more stable and faster performance. When released, the game will be entirely free to play, and available for download from the iOS App Store, Google Play, Amazon, Windows Phone, as well as on Windows, Linux and MacOS.